You’ve seen it many winters: millions of funny christmas sweaters scavenged from grandpa’s closets and worn shamelessly to one of those tacky christmas parties thrown through the month of December. This is the tale of how it happened. Ugly christmas sweaters made their popular appearance in the 50’s with the mass commercialization of Christmas. 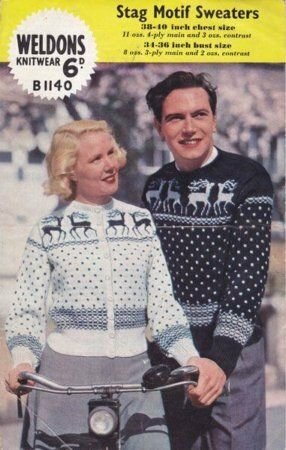 They were first known as “Jingle Bell Sweaters”, and featured discrete christmas themed decorations. The trend had a modest presence in the media until the 80’s, when it became popular in TV. The character that popularized weird sweaters with strange patterns was Cliff Huxtable from The Cosby Show. By the end of the decade, it was common for conductors of Christmas special shows to wear them. During the nineties the style winded down, but never died. 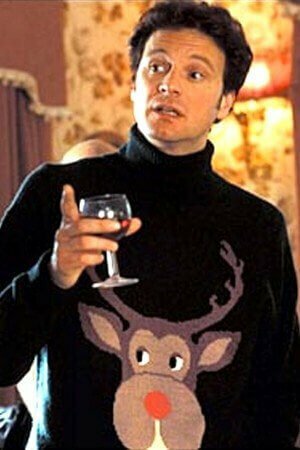 The turning point was when the character Mark Darcy got ashamed in the 2001 film Bridget Jone’s Diary with one of the most out-of-place designs to be seen on screen. After that, ugly jerseys stepped into the XXI century with renewed strength. 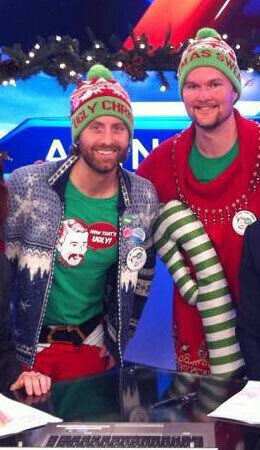 It was in Vancouver that Chris Boyd and Jordan Birch launched the first Christmas Sweater Party. The idea soon spread all over Canada and the US, and later around the world. The parties turned into massive events, often in support of charity causes. By 2007 ugly christmas sweater searches started to soar in Google and the trend slowly trickled its way back into the media. Early in the decade, various fashion designers released christmas sweater collections based on the ugly ones. Soon, retail stores picked on the trend and nowadays you can buy them brand new instead of scavenging in thrift stores and inherited wardrobes. Celebrities, TV stars and even politicians boarded the train and turned it into a common christmas sight. From scavenging and buying new, getting a tacky sweater has evolved into a do it yourself speciality. That usually involves grabbing an old sweater and glueing all kinds of additions, but now you can make your own designs too! Placeit has an ugly christmas sweater template tool that allows you to make your own design, ready for sewing or printing. 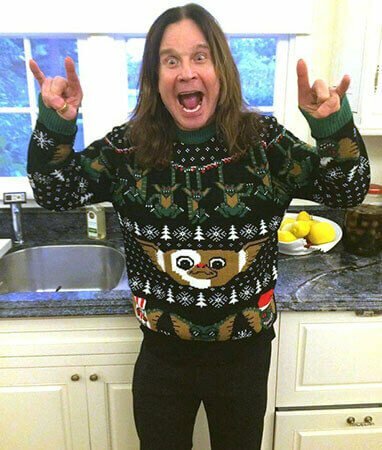 The National Ugly Christmas Sweater Day happens on the third Friday of December each year. That’s the 15th for 2017, so get your sweater ready for the party! You've got many ideas that you'd like to print on a t-shirt, but don't know where to start? Placeit has many kinds of tshirt templates for apparel designs, and you won't need a designer to get professional results. Just browse for your favorite template style and set the images and text together for a high quality and resolution PNG image. Get your hands on the job and bring your ideas to life! "How easier it would have been to set up my t-shirt store if I knew Placeit before"
Start selling some real ugly Christmas sweater! You can also get inspired on other awesome products to design with our amazing Christmas Templates! Try our 31 Christmas Gift Ideas for POD Sellers.